Heritage Week has been a major part of the calendar in Partry, Co. Mayo for some time now and 2016 promises something for everyone. With a wide variety of entertainment to suit every age group from Céilí Dancing and Mountain Walks and Local Folklore to Family Movie Night and fascinating lectures, Partry Heritage Week 2016 should not be missed. The week takes place from Saturday, August 20th through to Sunday, August 28th and most events will take place in Partry Community Centre. All events, other than the Family Fun Day, will be free admission. Launching on Saturday, August 20th with the Annaly Céilí Band (Dancing from 10pm), Heritage Week continues on Monday 22nd, with a guided walking tour of Drumcoggy Mt in the Partry Mountains (meeting at the Community Centre at 6.45pm), through to Tuesday 23rd when Partry Community Centre will show the classic Irish Family movie ‘Flight of the Doves' on the Big Screen, of which parts were filmed in the Ballinrobe area (starts at 7.30pm). A guided walk of the historic Seán na Sagart trail will be on Wednesday, August 24th, detailing the story of the notorious Priest hunter, while an absorbing bilingual lecture from Clodagh Doyle on ‘The Folklore of Cemeteries' will take place on Thursday evening (25th August) at 8.30pm. Saturday, August 27th will see the Village Inn, Partry, host a Heritage Week Family Barbecue. The festivities begin at 5.30pm and will feature a children's disco and children are invited to come in Fancy Dress. 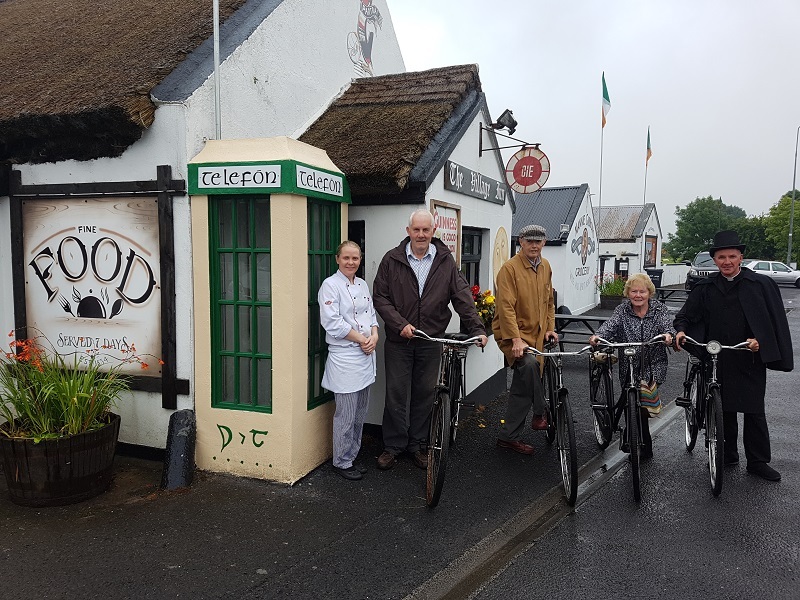 Calling all 'High Nellie' Owners to the Partry Heritage Day Road Run on Sunday August 28th sponsored by The Village Inn and The Lough Inn Partry. The Heritage Week will conclude with Partry Heritage and Family Fun Day which will take place on Sunday, August 28th from 1.00pm at Partry Athletic FC Grounds. 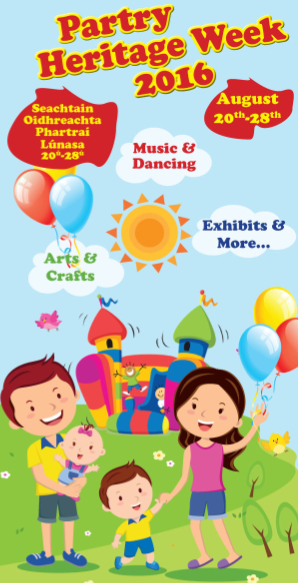 It will be a fabulous day for the whole family, with Arts and Crafts demonstrations, vintage displays, bouncy castle, face-painting, pony and trap rides, fancy dress, soccer blitz, music and dancing and so much more. With something to offer for every generation, make sure to put Partry Heritage Week in your diary this month!